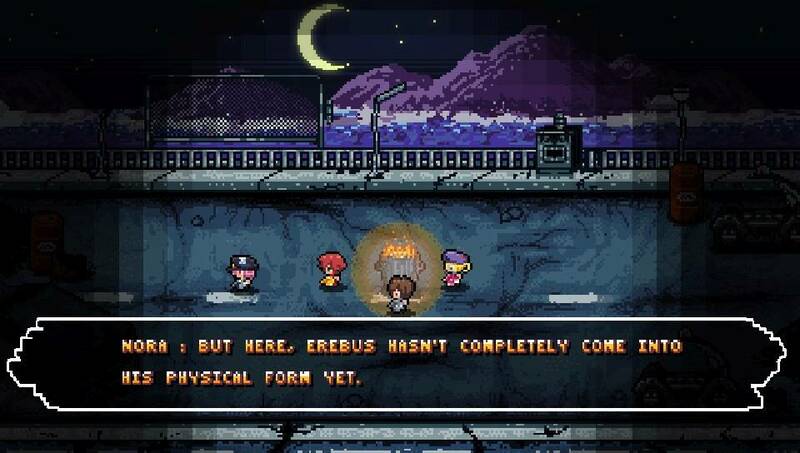 Riddled Corpses EX is the latest creation from French solo developer Fabrice Breton aka COWCAT Games who previously released Demetrios: The Big Cynical Adventure and Xenon Valkyrie+ for PS Vita. Developed by Diabolical Mind, Riddled Corpses EX is a remaster of the June 2015 steam version and comes with many new features and improvements such as a new story mode, new soundtrack, character stats and lots more. In Riddled Corpses EX, a great evil threatens mankind to elimante all humans on the planet with its satanic army. The last hope lies in a few police agents to find the cause of the threat and to save humanity from extinction. The story is being told with neat cutscenes in the new Story Mode that unfolds over 6 stages. While the narrative is nothing spectacular, it’s in the typical zombies meet apocalypse style which fits quite well to the game. Riddled Corpses EX is a fast-paced twin-stick shooter with arcade style gameplay featuring three different game modes. The story mode saves your progress over the stages and you can unlock and upgrade characters and weapons with gold left behind by defeated enemies. In the arcade mode, you always start from the beginning with the lowest stats of your character and several upgrades appear in each stage to level up. The survival mode is an endless game mode where you play on a static screen where endless enemies appear until you are dead. For beginners it’s recommended to start with the story mode to level up your character with earned gold to get more weapon power. And it’s really necessary as even the first stage is nearly impossible to complete without higher character stats. And upgrading is always needed to be able to master further stages as the gameplay is very challenging. Each of the 6 stages scrolls either horizontally or vertically and stops scrolling when an enemy wave appears. In these waves, things get really hectic as more and bigger enemies are after you. Collectable extras help you with an additional life, a clock to slow down time and enemies or dynamite to blast everything on the screen. After you finished a wave, the journey continues until the next wave or the boss of a stage appears. To progress the story mode, you will have to replay some of the stages several times as you need lots of gold to upgrade and unlock new characters. But as the gameplay is so addictive it never gets repetitive or boring. New unlocked characters come with new abilities such as gold magnetism or double gold that make upgrading stats more easily. You can also unlock a machine gun and a turret that will help you in the later stages. 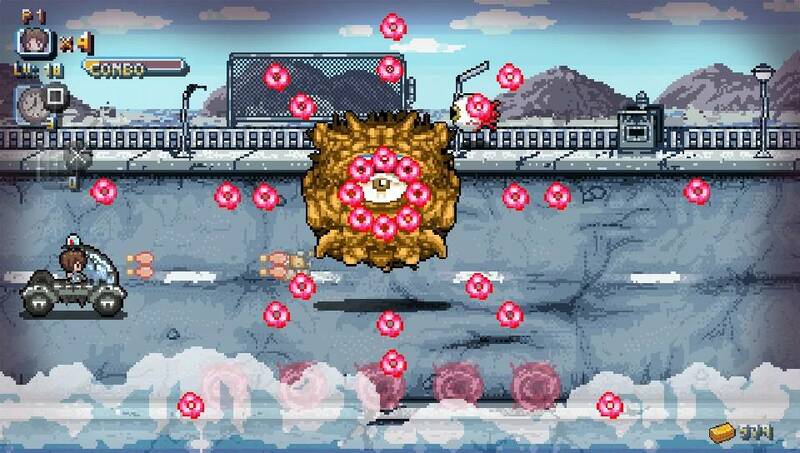 Before each stage, you can use gold to buy extra lifes and abilities which is really helpful for the final stages. You can upgrade and unlock 6 characters that come equipped with different stats that vary in movement, shot SP, delay, damage and extra abilities. Each of the unlocked characters has some improvements, only Fael and Nora I found a bit disappointing as Fael has a lower shooting interval and Nora’s weapon felt weak with lots of enemies on the screen. I really had lots of fun to complete the story mode and even though it’s very challenging at times, I couldn’t stop playing and unlocking all characters as the game is so addictive. After completing the story mode, the arcade mode is much easier as you already know the stages and their enemies. Survival mode is a neat addition and by far the most challenging mode. Online leaderbords for both the arcade and survival mode give you enough motivation playing again after you have beaten the story mode. 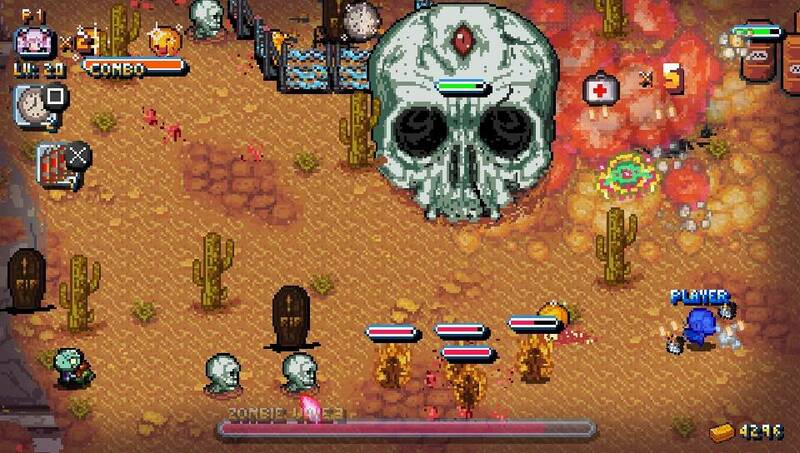 Riddled Corpses EX features some neat 8/16 bit pixelart graphics that runs with fluid 60 FPS on the PS Vita. Only in the third stage, I’ve seen a little bit of stuttering once but it was barely noticable. The game lets you chose between the classic or a new chiptune music soundtrack from Jorge Olivares. But that’s not all. When you finish the story mode, a metal soundtrack will be unlocked. Each soundtrack is great on its own and offers something for every taste. 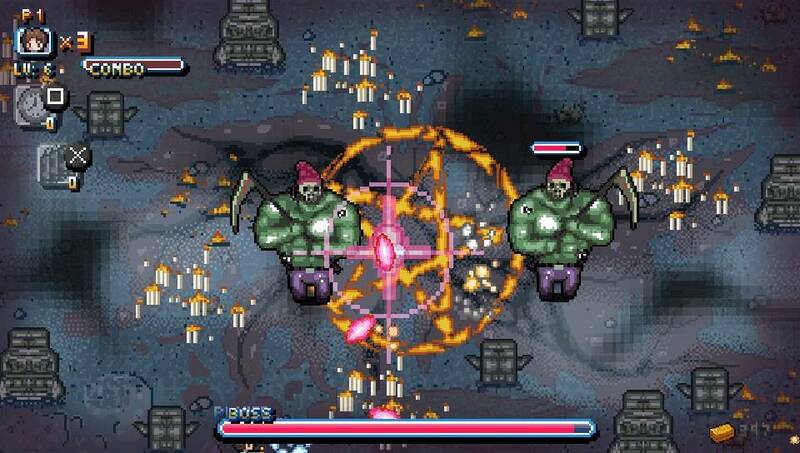 Riddled Corpses EX is a challenging and addictive twin-stick shooter that runs and plays great on the PS Vita. Although some grinding is needed, it never gets boring or repetitive. 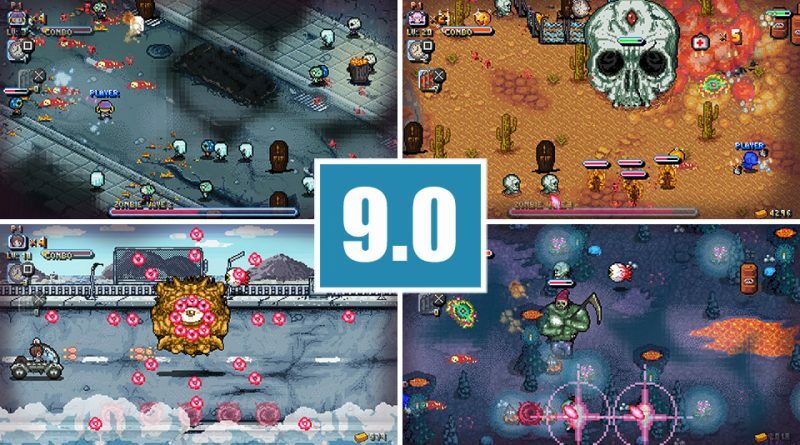 COWCAT Games has improved many things of the original game that Riddled Corpses EX can be seen as the definitive version. If you are looking for some frenetic action on the PS Vita, than this game is for you as it’s best played on the go.